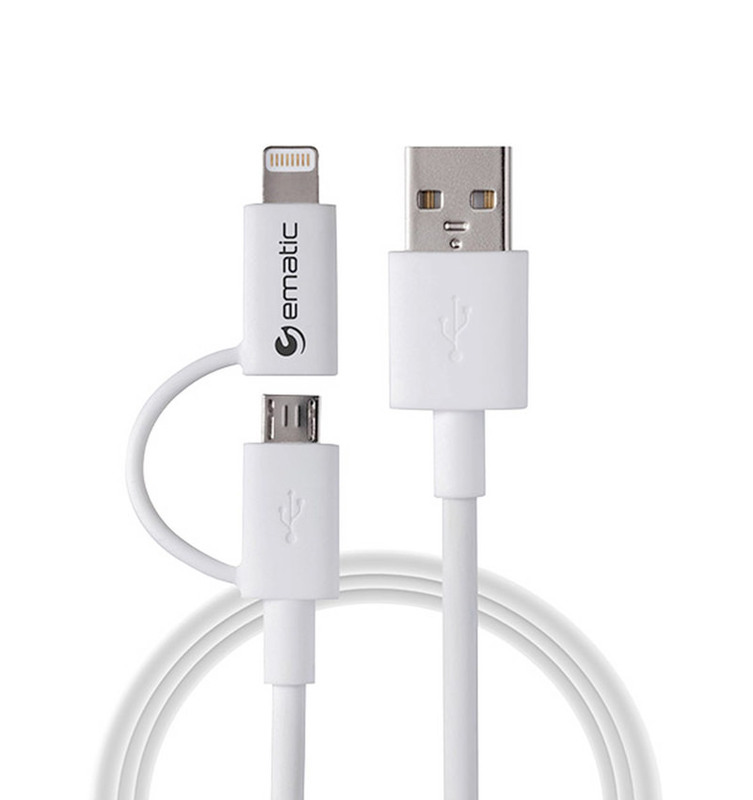 Connect one device to another and keep your equipment operational with this Ematic 3-Foot, 2-in-1, Lightning and Micro USB Cable. It’s made of durable materials for extended use and is designed specifically for the Apple iPhone 5, iPhone 6 and 6 Plus, iPod Touch (5th generation), iPod Nano (7th generation), iPad Air, and iPad Mini. It’s also safe for use on Android devices. This MFI-certified cable allows for the high-speed transfer of data, such as music, photos, and more, from one device to another. Both pliable and sturdy, the 3-foot cable is made with a protective jacket that’s perfect for long-term, excessive use. The lighting connection design provides a flush, snug fit into ports that will maximize data transfer speeds and quickly charge your device even if jostled around.